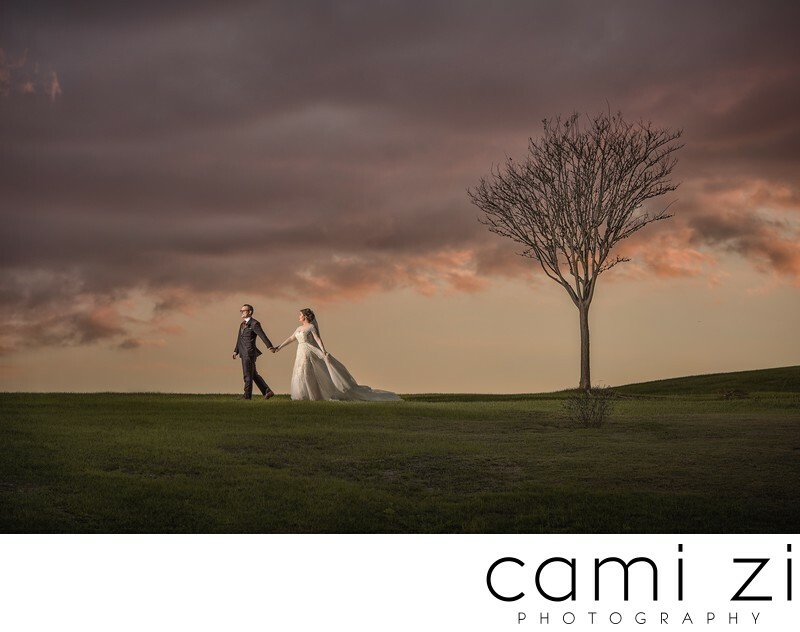 My couples are very drawn to my dramatic, sunset and dusk portraits. Capturing the essence of the location and pairing it with the right time of day, create the elements that I use to produce those one of a kind images. Starting photos about 15min before sunset, and then ending them 15-20min after sunset is ideal! When planning your wedding timeline, make sure to contact me, so we can build this into your timeline together.